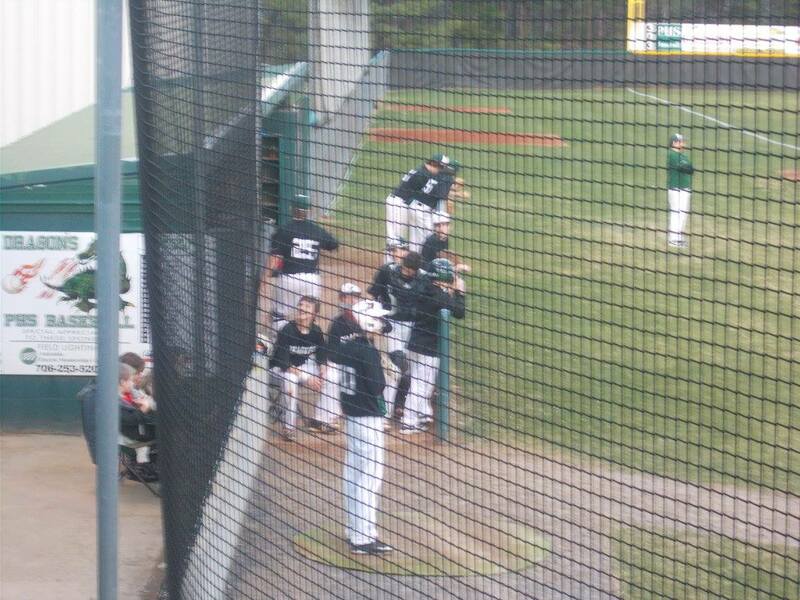 Yesterday afternoon, the PHS JV Baseball team hosted the JV Rebels of Fannin Co. for baseball action. These two teams went back & forth in Blue Ridge on Tuesday with the JV Dragons coming away with a narrow 9-8 victory. This game, turned out to be a nail bitter as well. Brady Moore got the start for the Dragons and was very effective. The JV Rebels got two on the board in the 1st to take a 2-0 lead going to the bottom of the inning. Pickens left a runner on second in the bottom half of the 1st, sending us to the 2nd with Fannin ahead, 2-0. Moore and the Dragons were able to strand a Rebel at 2nd, but had their own potential scoring chance ended as Pickens stranded two in the bottom of the 2nd to send us to the 3rd, JV Rebels still leading, 2-0. Moore got things working well in the top of the 3rd, as he struck out the side to send his team up to bat in the bottom of the frame. Will Lawrence brought in Moore with an RBI hit to cut the Fannin lead in half, 2-1 going to the 4th. In the 4th, Clate McArthur came in to relieve Moore and had an impressive outing. McArthur needed just 8 pitches in the top of the 4th to sit the JV Rebels down. In the bottom half of the inning, McArthur brought in Adam Massey to tie things up at 2 a piece. The tie did not last long however as Fannin took the lead right back in the top of the 5th, leading it, 3-2. The Dragons had a chance of their own to tie or take the lead in the bottom of the inning, but left two on as we headed to the 6th. McArthur struck out the side in the top of the 6th, to bring the Dragons up to the plate, looking to get something going. Moore brought in Michael Burrell to tie it up at 3, then Gabe Groover gave Pickens their 1st lead of the game with a 2 RBI single. Dragons held a 5-3 advantage going to the 7th. Fannin refused to go quietly as they had a scoring chance with one out. as one run came across the plate, a second potential run was sent around 3rd, when the left fielder Lawrence loaded up, and threw the runner out at the plate. Pitcher Isaiah Payne then got a ground out on the next pitch to seal the win for the Dragons, 5-4. The win improves the JV’s record to 8-1 on the season. Yesterday, after their varsity teammates, defeated the Towns Co. varsity 17-2, the PHS JV Baseball team hosted the Towns Co. JV Indians in the 2nd game of the varsity/JV doubleheader. This is a league game for both teams with both fighting for position in the standings. Jackson Jones got the start for the Dragons and worked a solid first inning. Pickens got three straight hits to open the bottom half of the 1st, and runs driven in by Isaiah Payne & Will Lawrence to give the Dragons a 3-0 lead going to the 2nd. In the 2nd, the Indians were able to get a run back to make things 3-1 going to the bottom of the 2nd. Pickens would be held scoreless in the 2nd as we headed to the 3rd, still 3-1 Dragons. In the 3rd, Towns Co. again chipped away at the lead with another run to cut things to 3-2. J. Jones helped his own cause as he brought in Lawrence with an RBI double to stretch the lead back to two at 4-2 going to the 4th. Pickens got out of a jam in the top of the 4th to send us to the bottom of the inning. Much like their varsity counterparts, the JV Dragons had a huge 4th inning, scoring 13 runs on 10 hits, making it 17-2 and enforcing the 15 run rule. 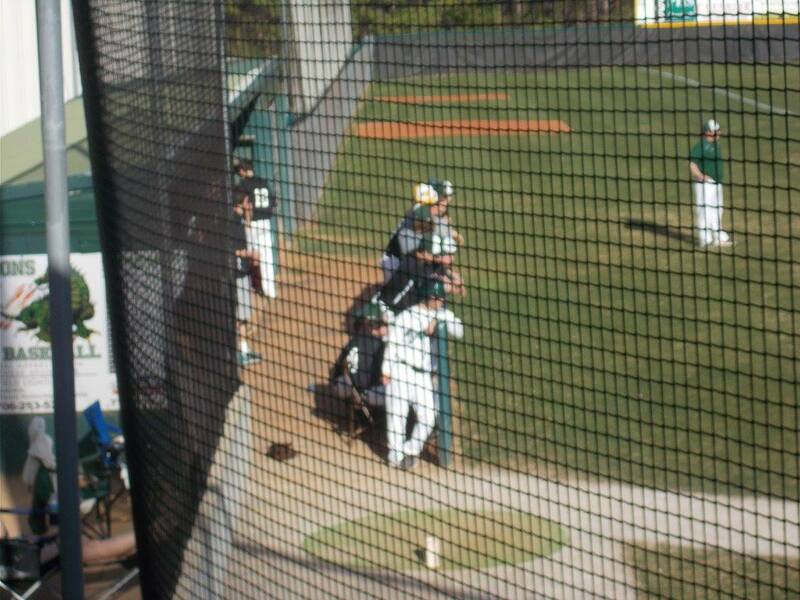 The JV Dragons will be in action again later today as they take on the JV Fannin Rebels in Blue Ridge. Pickens will return the favor by hosting the JV Rebels on Thursday. « Previous Article Dragons Improve To 6-4 With Win Over Towns Co.